Laura Buffet is an expert in oil and biofuels at the Transport & Environment (T&E) NGO. Buffet spoke with EURACTIV’s Sarantis Michalopoulos. Are you satisfied with the European Commission’s proposal on the post-2020 use of energy in the transport sector? 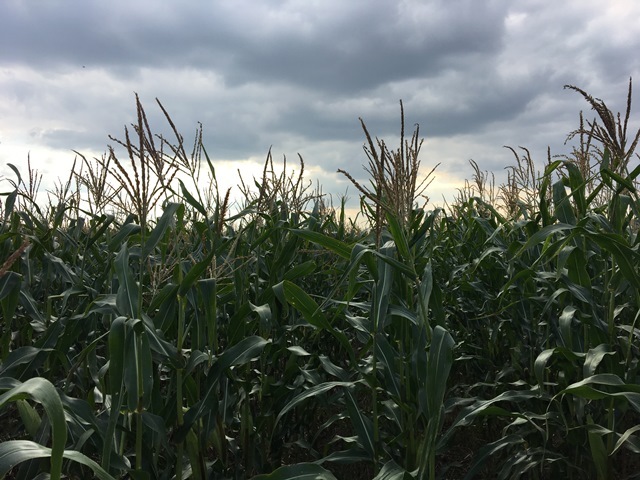 Overall, we think it is a step in the right direction because the Commission is proposing to decrease the amount of crop biofuels that can be counted towards the overall renewable energy target from 7% to 3.8% in 2030. However, we would like to see more ambitious measures on that specific issue. We are calling for a quicker phase-out of crop-based biodiesel and a complete phase-out of all crop biofuels by 2030, which means, in practice, to have a 0% crop cap in 2030. So this is how we think that the Commission proposal could be improved. The Commission is going more in the direction of advanced biofuels, and we think these biofuels have a role to play in decarbonising the transport sector if they are done sustainably. If they are done sustainably they can deliver significant greenhouse gas savings with very low to no negative impacts on the land. However, we do not want to repeat the same mistakes with this new generation of biofuels, so we are calling for a strict sustainability framework for incentivising these biofuels. Both you and the Commission are putting bioethanol and biodiesel in the same category. Why? First I think it’s important to just take a step back and think about what the current biofuels policy has driven in the EU market. So we currently have around 80% biodiesel as part of the EU biofuels market, and most of it is crop biodiesel, which, according to the recent Globiom study commissioned by the executive is on average around 80% worse for the climate than fossil diesel. Clearly, the current biofuels policy has not driven the best solutions in the markets. Having said that, there has been lots of debate around ILUC (Indirect Land Use Change) emissions in the past. We’ve been asking for having ILUC factors in the GHG emission calculations in the EU, to enable an ambitious reform of the EU biofuels policy in the past. 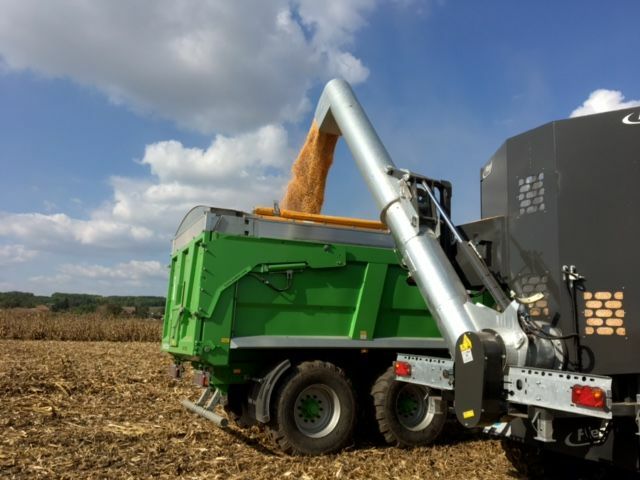 But the industry, whether it is the farming industry, the bioethanol industry or the biodiesel industry did not want to have ILUC factors in place. Therefore the EU decision makers adopted this crop cap as the way to deal with ILUC emissions from crops. And this is the tool that the Commission is proposing, as a continuation of what has already been adopted for 2020. If you look at greenhouse gas emissions, crop biodiesel has on average the highest greenhouse gas emissions, but you also need to look at the better alternatives, and if you compare crop biofuels, whether it is crop bioethanol or crop biodiesel, to advanced biofuels from waste and residues, these advanced biofuels have much lower greenhouse gas emissions and so much higher climate benefits. It is crucial to look also at the broader picture and what are all the alternatives on the table. In that broader framework, renewable electricity is the best available and scalable option to decarbonize transport fuels. 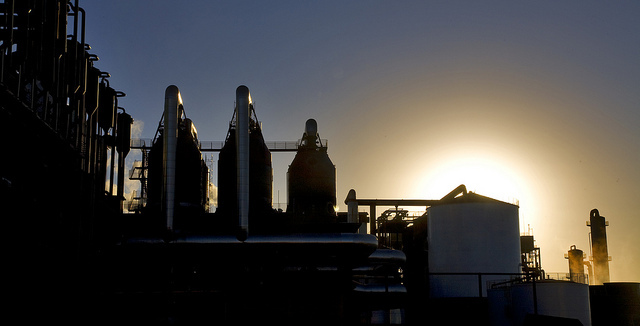 The biofuels’ industry has strongly criticised the European Commission’s intention to phase out conventional biofuels, saying its proposal is “incredibly friendly to oil”. What is your comment on that? Well, I think it depends on how you interpret the consequences of that proposal. Again, what the Commission proposes is how much of crop-based biofuels you can count towards a renewable target. What’s going to happen in the market then is a different question. Then, we need to look at what is the replacement for oil. If it is crop-based biodiesel with on average more GHG emissions than fossil diesel, this doesn’t make sense. And then regarding advanced biofuels, the Commission is putting incentives in place to push more quantities of these biofuels, together with other fuels that are of lower emissions on average, like renewable electricity, to be included in the market. So, on the longer term, the Commission’s plan is to have more of these better alternatives, and therefore less oil being used thanks to those. And how about the people who have invested in first-generation biofuels? How do you convince them that an investment in advanced biofuels would be viable? First generation biofuels have benefitted from quite a high level of public support until now, and the policy has not driven as much support for better alternatives, such as biofuels from waste and residues or renewable electricity used in transport. We had commissioned a study on the question of investments which showed for example that 95% of investments in biodiesel installations would be paid back by the end of 2017. So it’s time to shift the policy support to better alternatives. The most crucial element to secure investments in advanced biofuels is to ensure that we get the new sustainability framework right for these biofuels. A clear and robust sustainability framework will bring policy certainty and investment security. If we want to avoid another policy U-turn on advanced biofuels, the proposed sustainability criteria currently on the table need to be improved. Have you examined the impact of the crop-based biofuels’ phase-out on employment especially in EU farming? We have examined the situation when it comes to investments that have already been done in the biofuels industry and we have been part of a research project called “Biofrontiers” on waste and residues. This project looked at the potential availability of waste and residues for biofuels and had an assessment of potential job opportunities in that area. 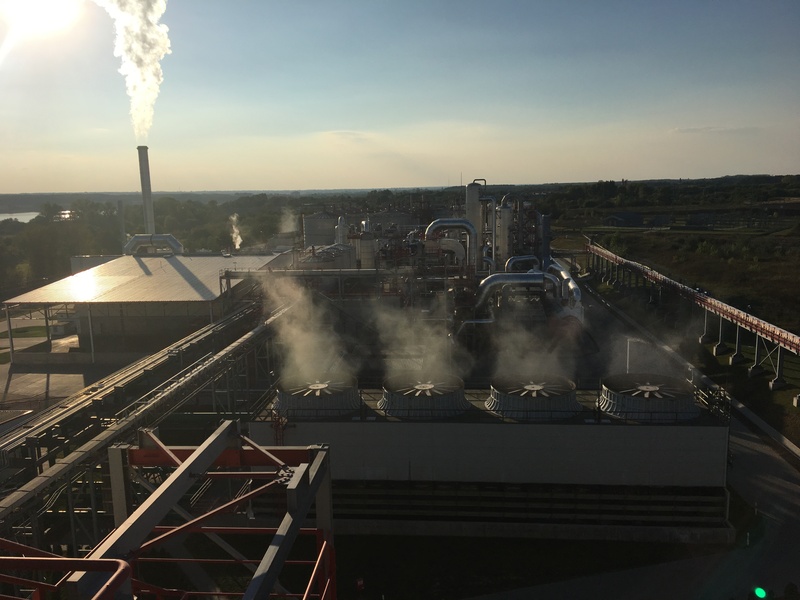 According to the International Council on Clean Transportation, tens of thousands of permanent and construction jobs could potentially be supported via a shift toward biofuels from waste and residues in the EU. In addition, the Commission’s impact assessment concludes that a full phase-out of food-based biofuels by 2030 could lead to some direct job losses in conventional biofuel production but that a transition to advanced biofuels could also lead to the creation of new jobs. In any case, farmers would still have their land and produce food, as they did before the biofuels boom. 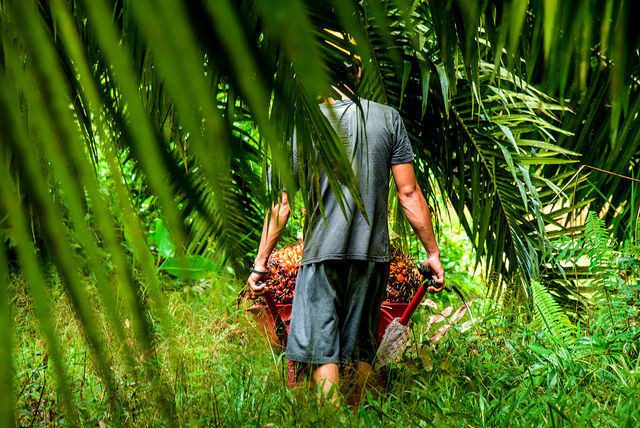 What could the EU do to make sure that imported palm oil is produced in a way that respects human rights? So first there’s the issue of palm oil as such and what is driving the use of unsustainable palm oil or palm oil in general in Europe, and here you have different sectors that are using it, but you have more and more palm oil being used in transport. It grew to 46% of all palm oil imports going to transport in 2015 because they are turned into biodiesel, and so for us, the key issue to tackle is the driver of that palm oil used in transport. This should not happen anymore. This is why we are calling for phasing out crop-based biodiesel as soon as possible. This is not only because of the palm oil issue but because of the crop-based biodiesel issue in general. And that would already permit to maybe lower the risks of greenhouse gas impacts coming from palm oil production and the increased use in transport. So just by tackling the transport sector, you could already tackle part of the palm oil issue. Then in terms of social impacts and how to take them into account, I think a key aspect is clearly to make sure that you have strict social and human rights safeguards, including free prior and informed consent of the communities for all palm oil uses. Another point is to also make sure that the current renewable energy directive is going to include these social aspects in the law because often social and human rights are not included as mandatory requirements in EU law, and that should be made mandatory for the future. We can already make Ethanol from Non-Food based sources at €urocents 23 per litre. So why use foods at all?